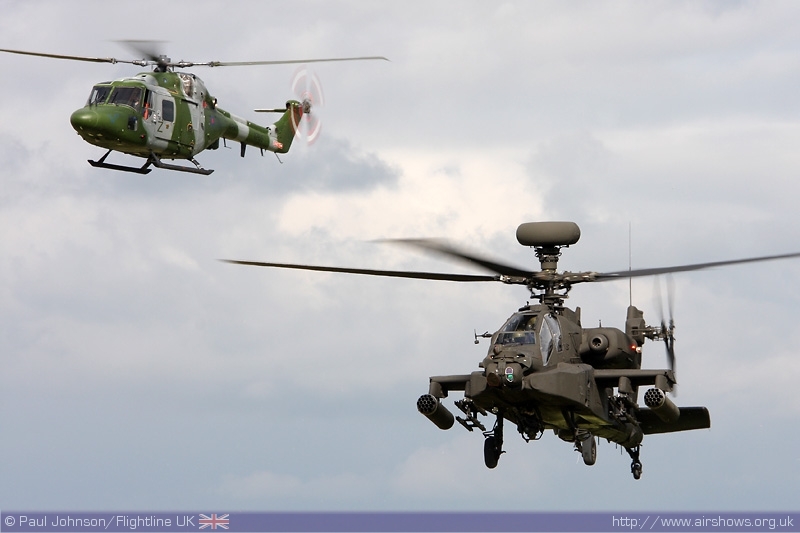 The team at Kemble took the brave step to make their main event of 2009 a two day event rather than the one day "Air Day." Kemble Air Day's have always been a highlight of the season and have gained a reputation for hosting some of the finest classic jet displays along with strong support from the Royal Air Force. Maintaining it's traditional Father's Day slot, Kemble Air Show 2009 was held in support of the Royal Air Force Benevolent Fund and was themed around the "Fly Navy 100" anniversary theme. 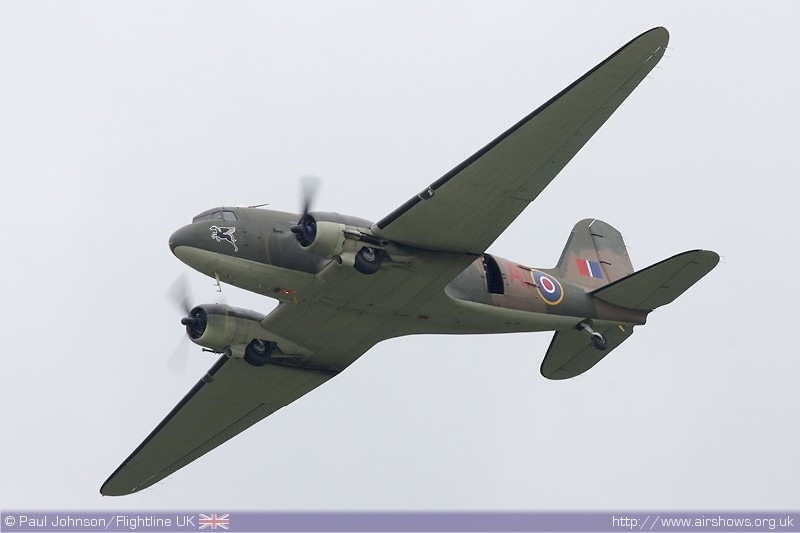 Paul Johnson/Flightline UK reports from the Cotswolds. Photography copyright of the Author or as stated. At the end of April, Jason Phelan completely a grueling weekend of aerobatic flights around the UK to raise funds for the Kemble based charity, Fly2Help. The charity helps people of all ages and backgrounds through the medium of flight. 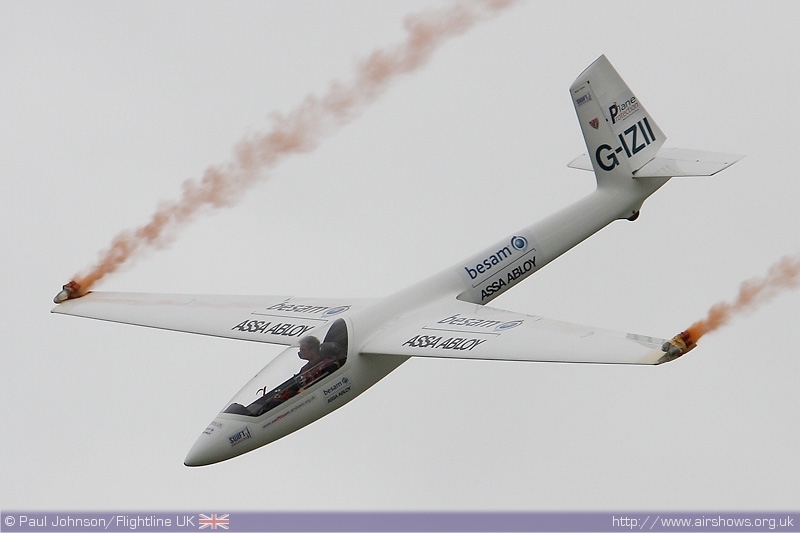 Enduring 15 different flights and 250 aerobatic figures, Jason raised �6904.18. 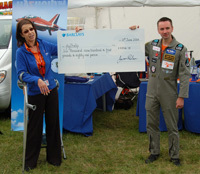 The cheque was handed over to Mandy Pantell at Kemble on Sunday. Photographs copyright Simon Smith - TOP: (Left to Right) Mark Greenfield, Mandy Pantell, Jason Phelan, Danielle Hughes and Jez Hopkinson, BOTTOM: Mandy Pantell and Jason Phelan. A new year and a new name for Kemble's main event of the year. The move to a two day show is much more of a change than some would expect. There are some significant changes to the logistics of the event which have taken several months of planning. The move also allowed Glen Moreman and his team a little more creativity with the flying display which was subtly different on each day. The weather over the father's day weekend was fair with grey clouds dominating the show over the summer solstice. 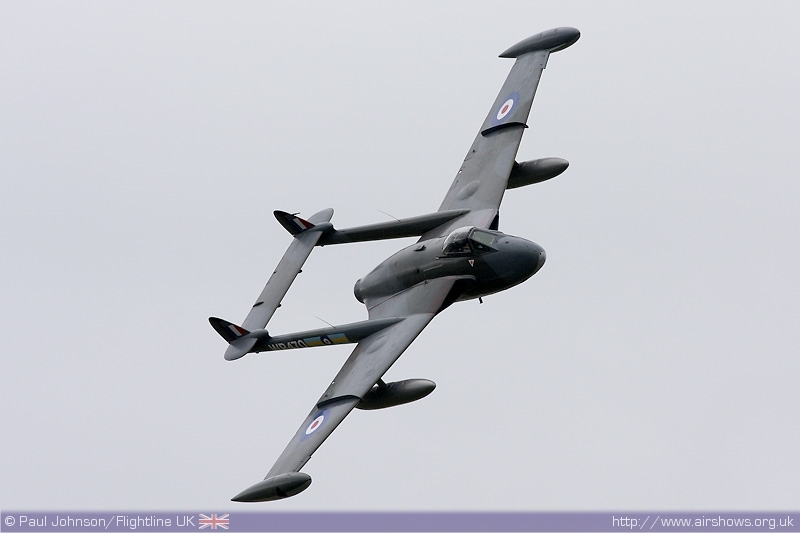 As usual, the flying display was split into two halves with a short morning flying display followed by a longer afternoon programme after a lunch break. The light hearted and entertaining commentary for the event was lead by Sqn Ldr Andy Pawsey, Ian Brodie from New Zealand and Trevor Graham. 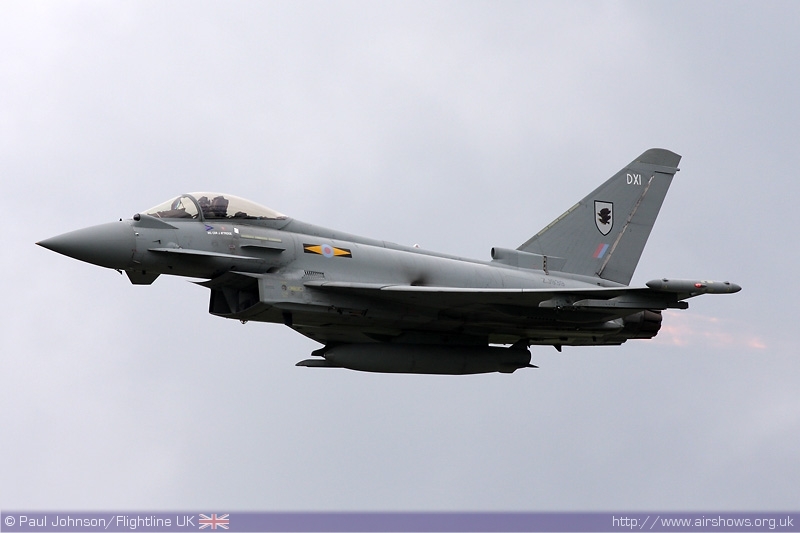 RAF support for Kemble was strong with the Red Arrows headlining the line up on the Saturday. 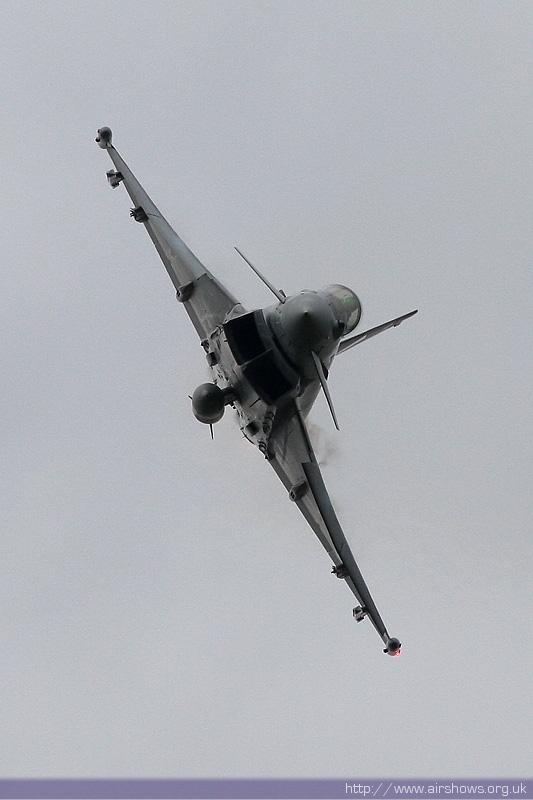 A busy day at the British Grand Prix precluded a display on Sunday. 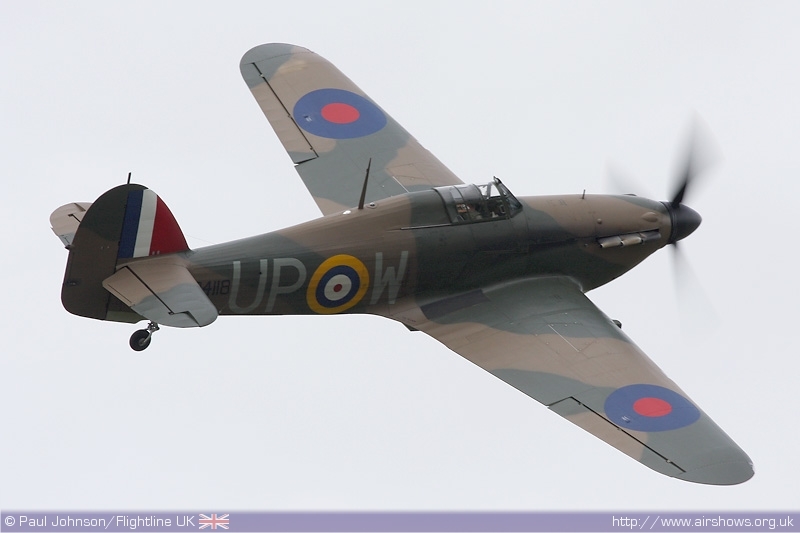 The Battle of Britiain Memorial Flight also appeared on both days. Flying both days during a hectic weekend of different displays was the Typhoon FGR4 flown by Flt Lt Scott Loughran from 29(R) Squadron. 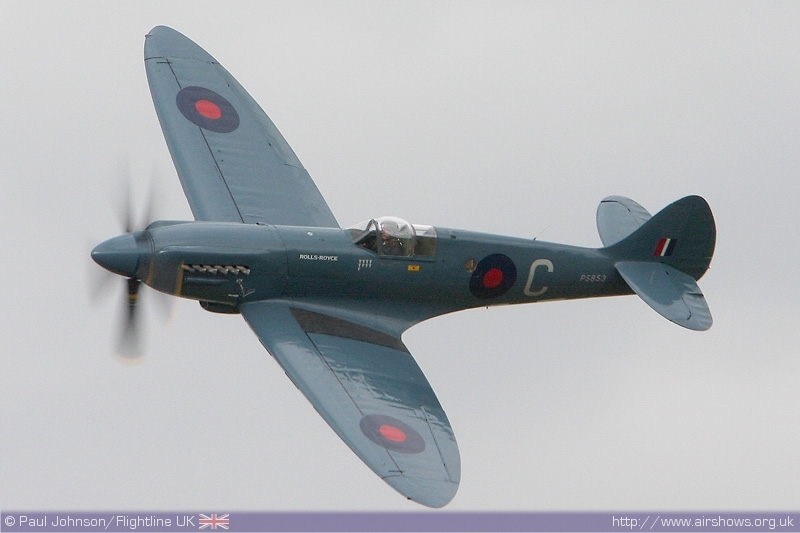 He performed displays at Volkel (Netherlands), Margate and Silverstone on top of his two performances at Kemble. Joining Scott was Flt Lt Matt Barker in the specially marked Hawk T1 which this year is supporting the same charity as Kemble, the Royal Air Force Benevolent Fund. 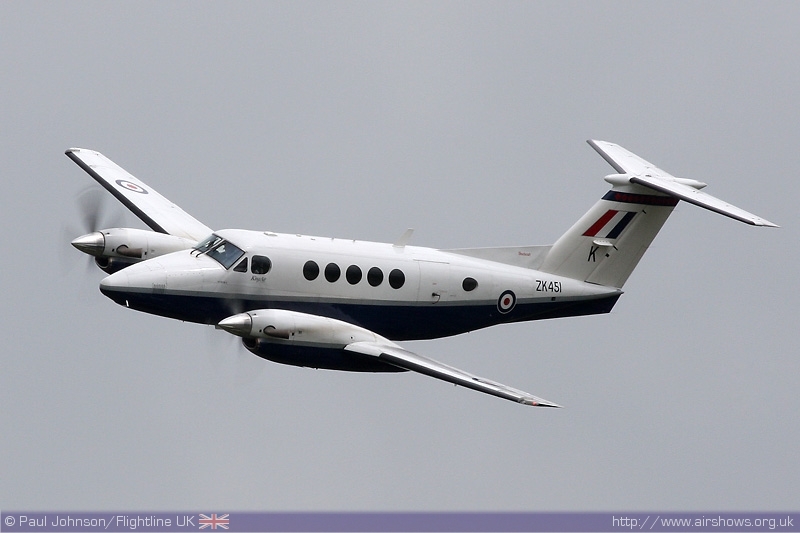 One final solo item took part, the King Air from 45(R) Sqn from RAF Cranwell making it's second public appearance of the year. 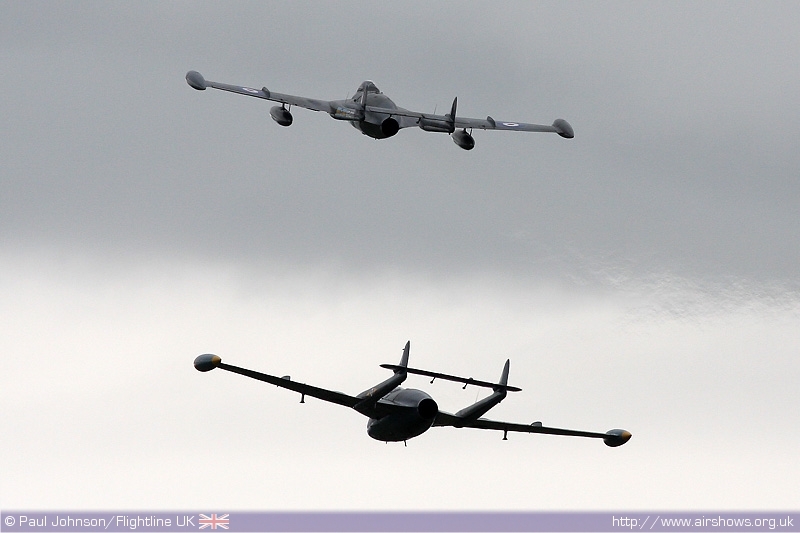 On top of the more usual displays, Kemble enjoyed strong support from it's local RAF Stations. 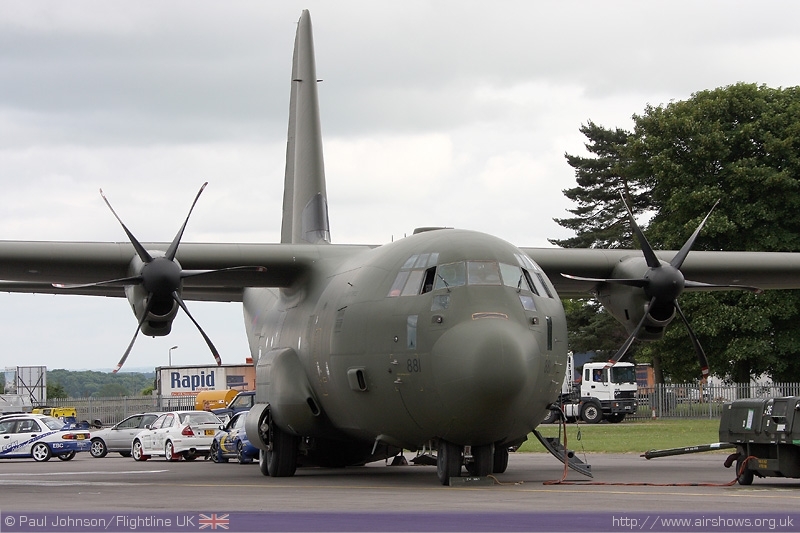 RAF Lyneham contributed a pair of Hercules, a C-130J Hercules for the static display and Sunday saw a flypast from a C-130K Hercules. 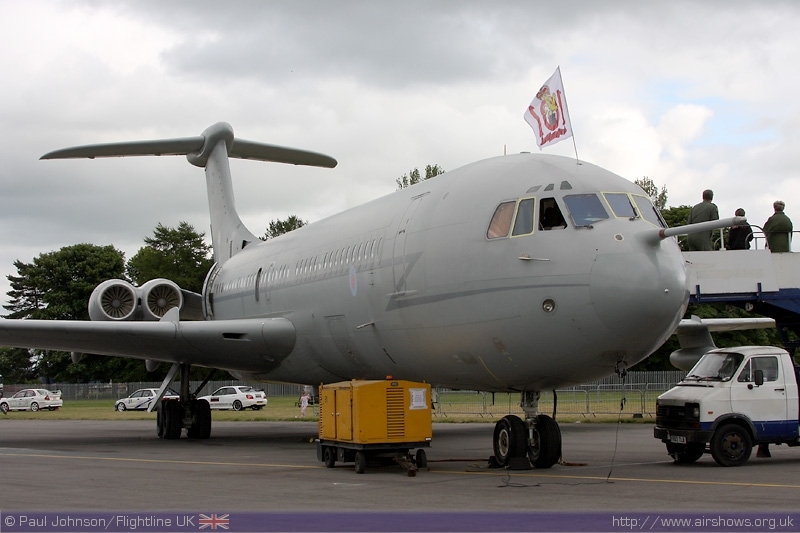 RAF Brize Norton was not to be outdone with a rare appearance by a VC-10 in the static park. 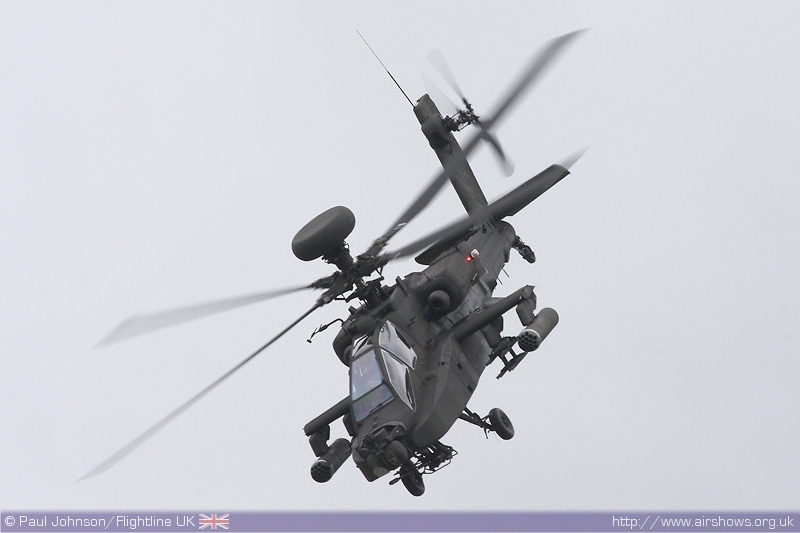 Other items included the Merlin HC3 from RAF Benson, a A109 from 32(TR) Squadron and a Griffin HT1 from RAF Shawbury. 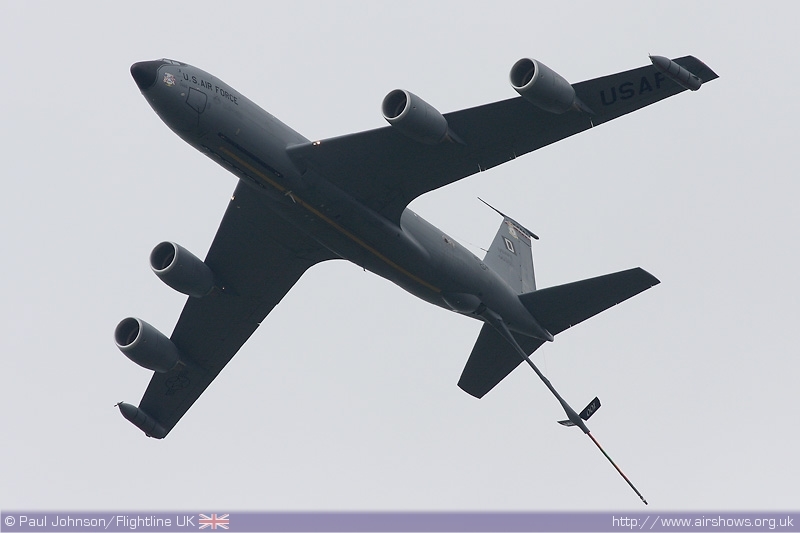 The only "international" participant of the afternoon and a very welcome participant was the KC-135R Stratotanker from the 100th Air Refuelling Wing at RAF Mildenhall. 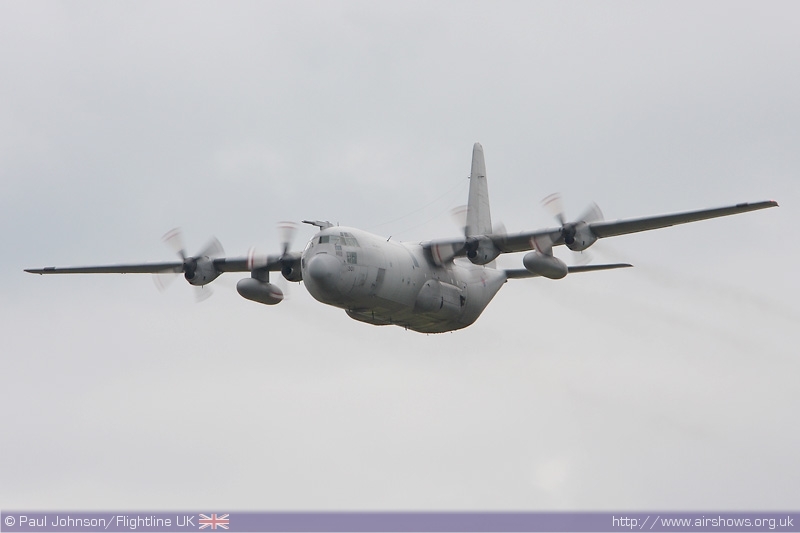 It was the first time that the United States Air Force has participated at a Kemble event and a highly appropriate addition. For many years, Kemble was home to a USAF maintenance base. 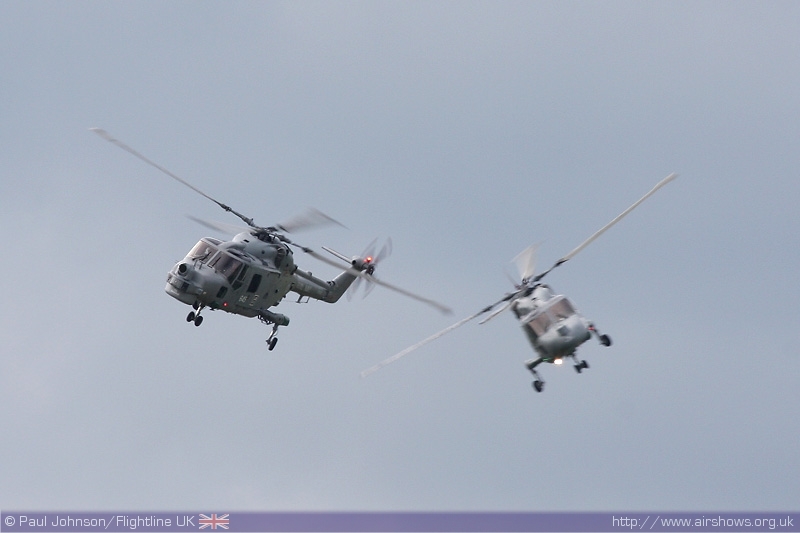 One of the major themes for this year's Kemble was Fly Navy 100 which saw a number of naval aircraft take part. 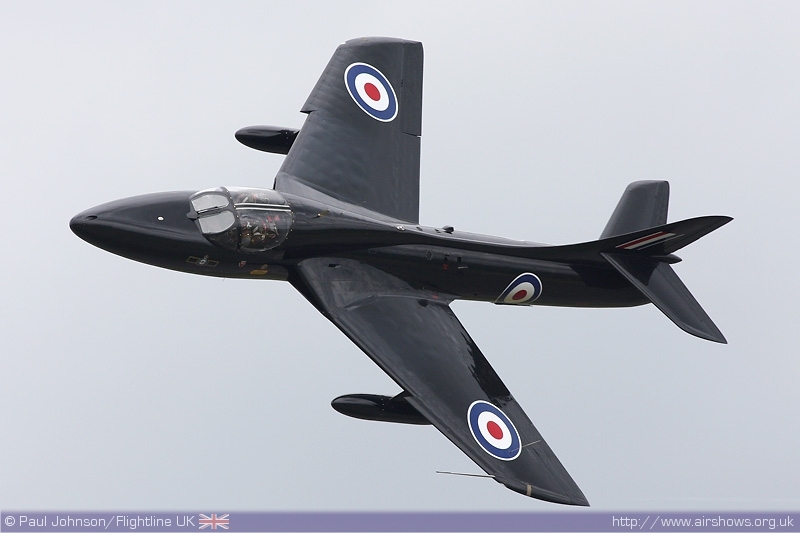 Notably in the flying display there were appearances by the Sea Vixen, Black Cats and a Westland Wasp. 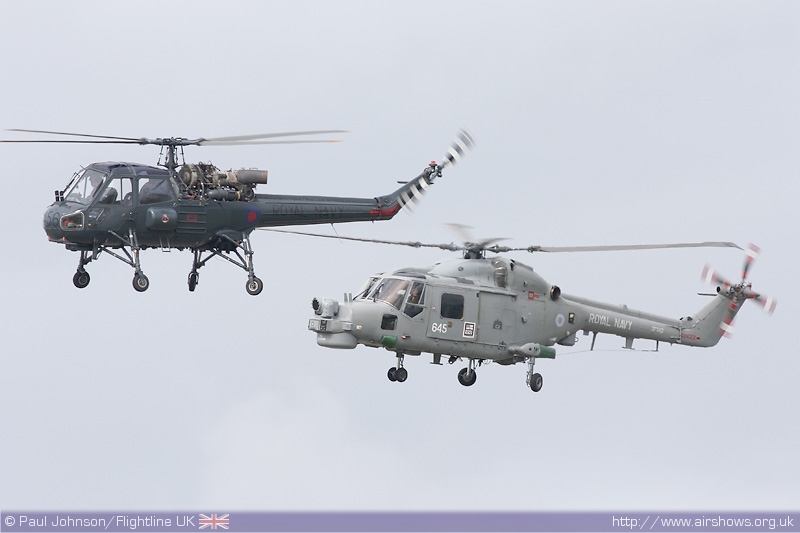 Further action from the UK armed forces came from the Army's Blue Eagles and the Royal Navy's Black Cats. 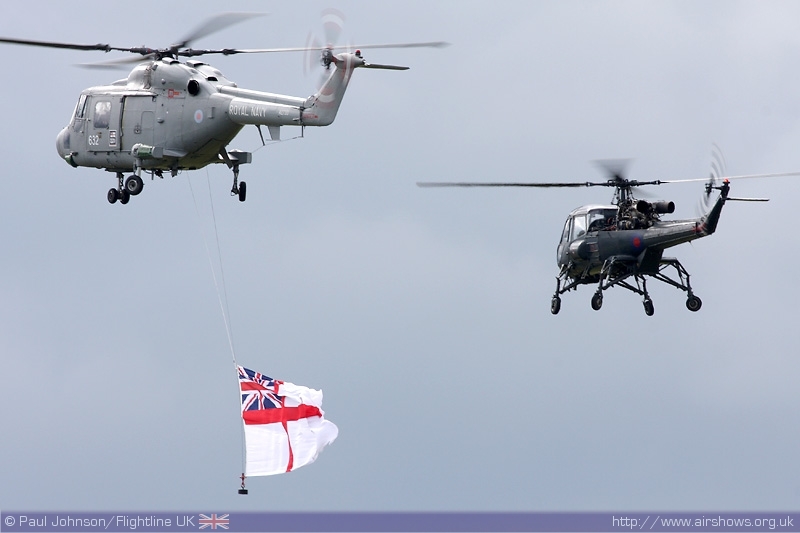 The latter joined up with Kennet Aviation's Westland Wasp for a special "Fly Navy 100" flypast that opened the finale to the days flying. 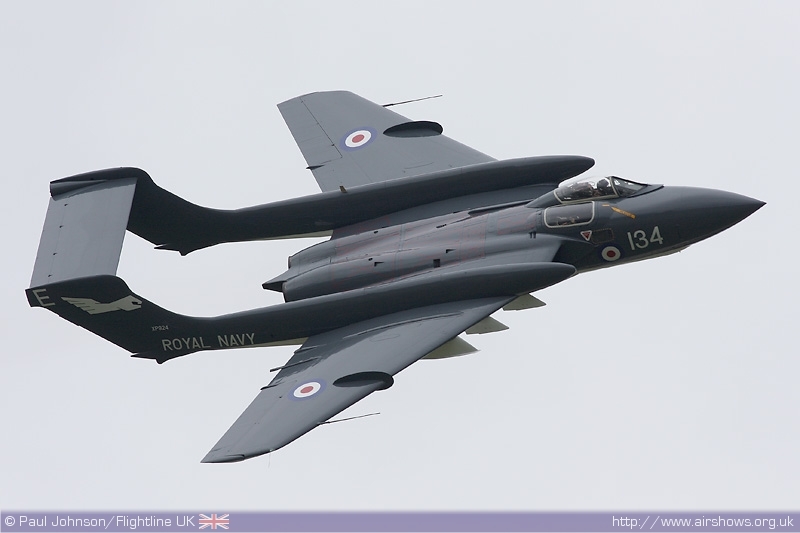 Earlier in the day, De Havilland Aviation's mighty Sea Vixen FAW2 was flown by it's display pilot, Lt Cdr Matt Whitfield who put the big jet through a powerful routine. Kemble is a haven for classic jets. 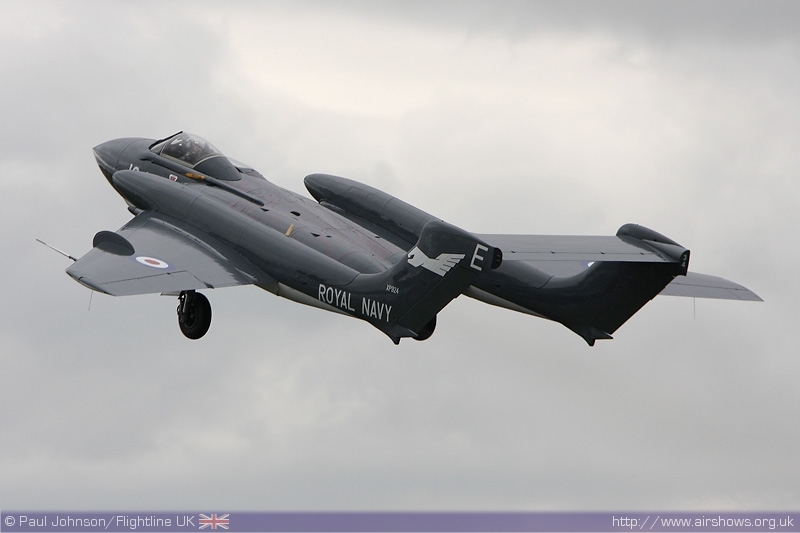 Kemble residents Delta Jets supplied their flagship Black Arrows Hunter T7 for the flying display along with a few others from their collection on display in the static parks. 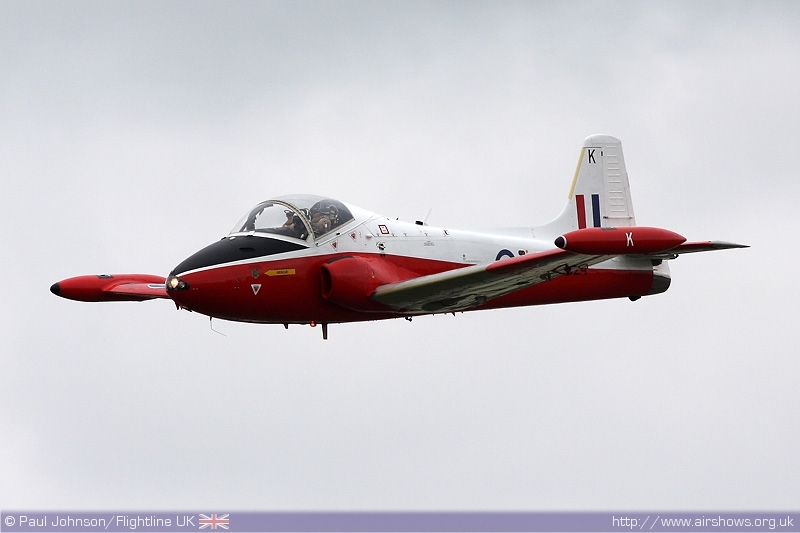 There was an interesting pair of Jet Provosts in the flying, a Jet Provost T3A and a T5. 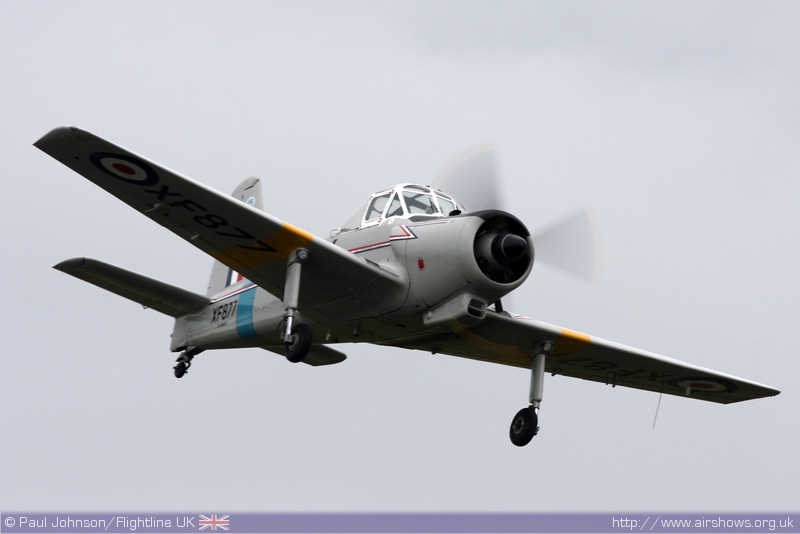 The T3A has been a regular on static shows over the past few years flown by Neil McCarrthy. 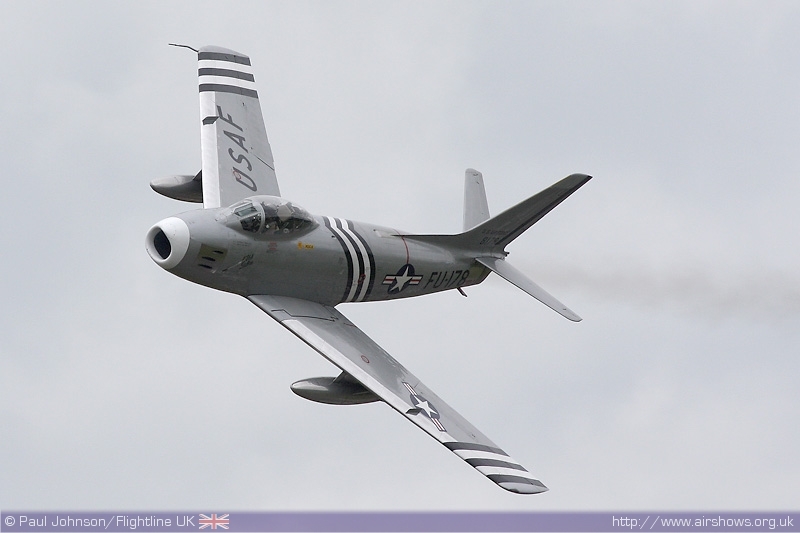 Neil has now taken the step of displaying his pride and joy and it's a welcome addition to the circuit, One aircraft we will be losing from UK skies at the end of the year will be Golden Apple's F-86A Sabre which made it's last Kemble appearance. 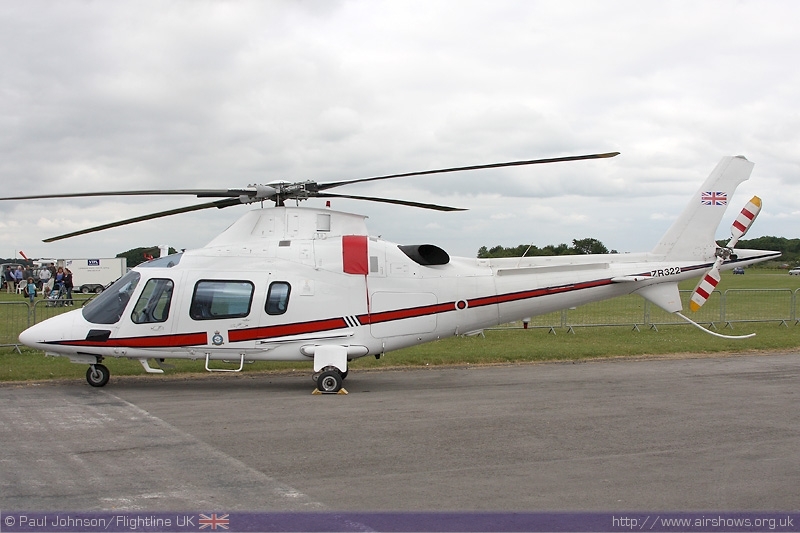 The aircraft is due to be exported to the US later in the year as the costs of another overhaul have become just too much. 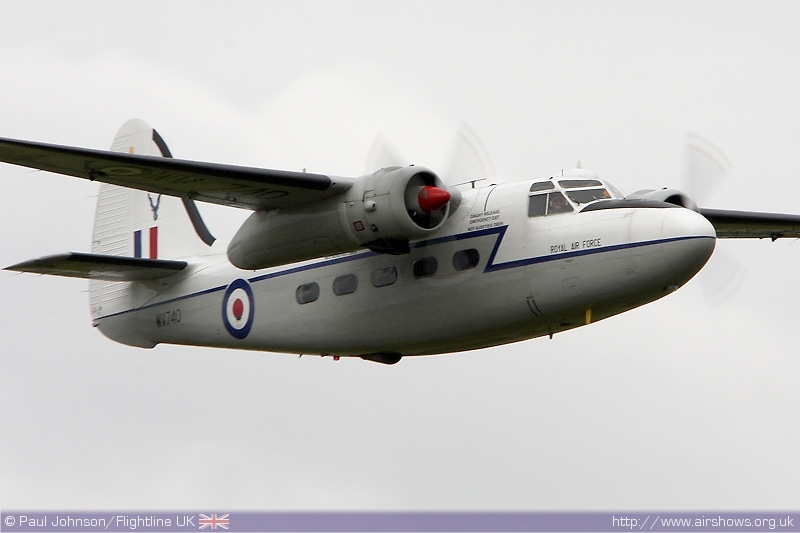 The Air Atlantique Classic Flight also had a number of items on show. 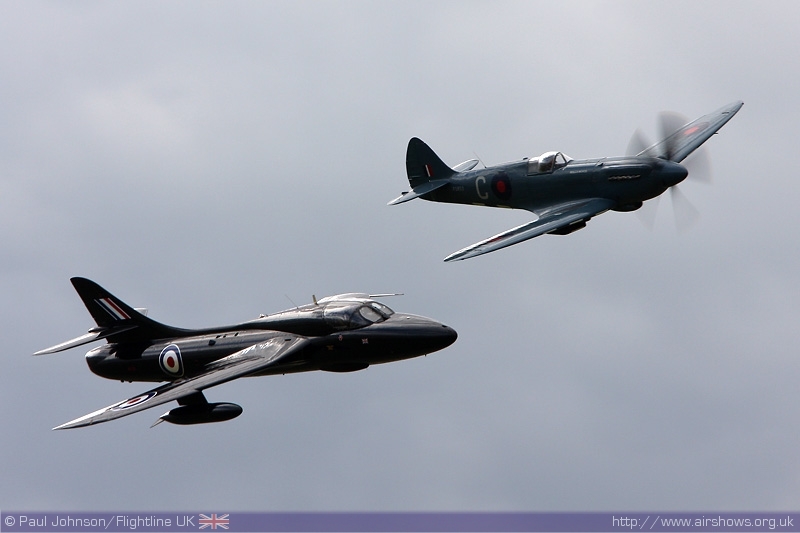 In the flying displays, there were appearances by the flight's pair of rare De Havilland Venoms. 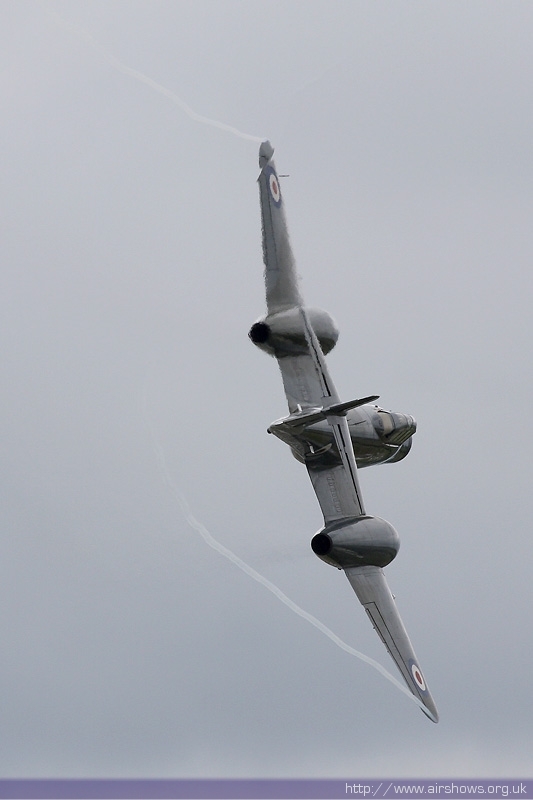 However, the star turn of the afternoon had to be the scintillating display of the flight's Meteor NF11 by Dan Griffiths. 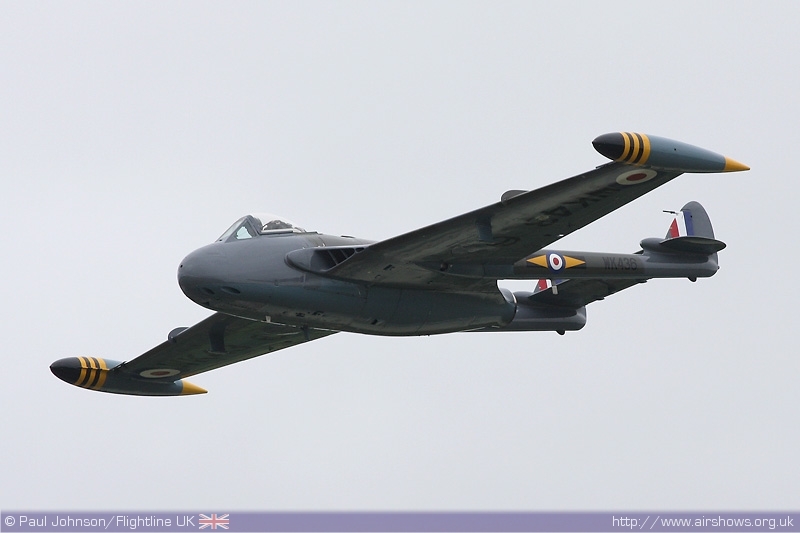 The display showed the Meteor off in a wide variety of angles and gave a good account of the performance of this early jet. 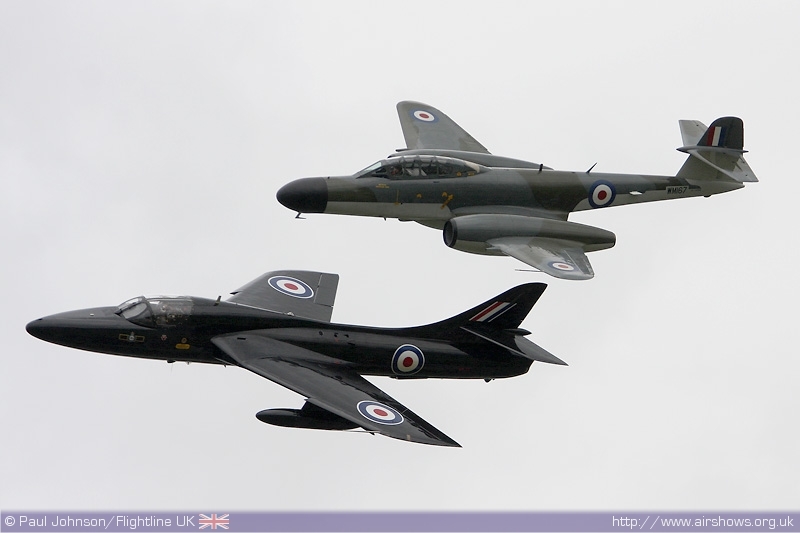 Dan also joined up with Andy Cubin in Delta's Hunter T7 for a succession of formation passes. On the ground was another Meteor, this time a Meteor T7. 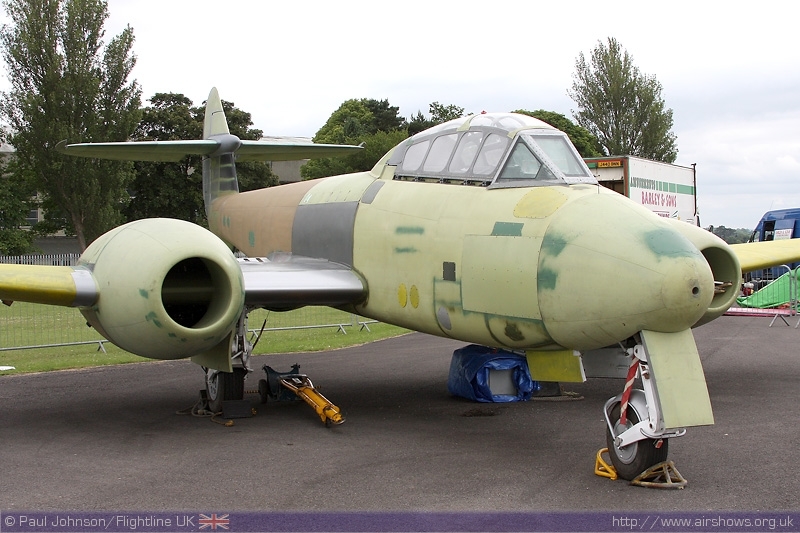 This aircraft is being restored to flight at Kemble and should be ready in the not too distant future. 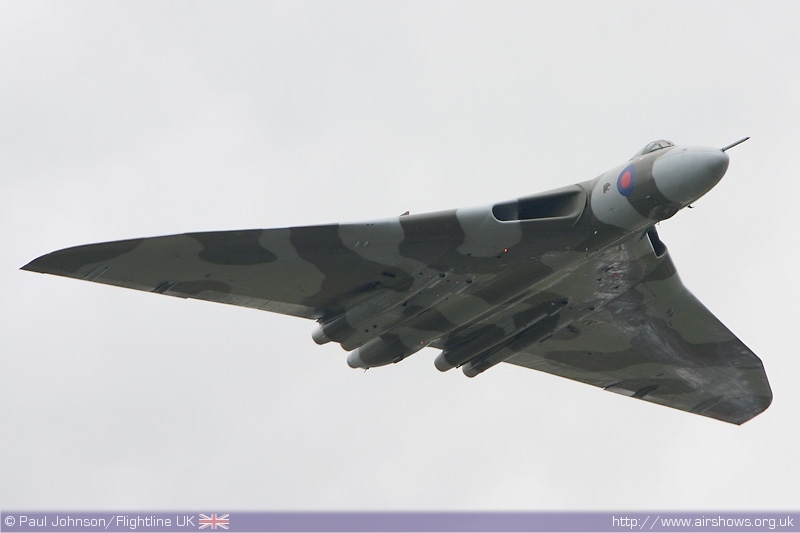 However, it was once again the Vulcan B2 that stole the show on the Sunday. Appearing fresh from it's first overseas display at Volkel in Holland, the Vulcan was an impressive sight in the grey skies over Kemble to complete the classic jet theme. Away from all the military flying, there were also a good number of civilian acts. 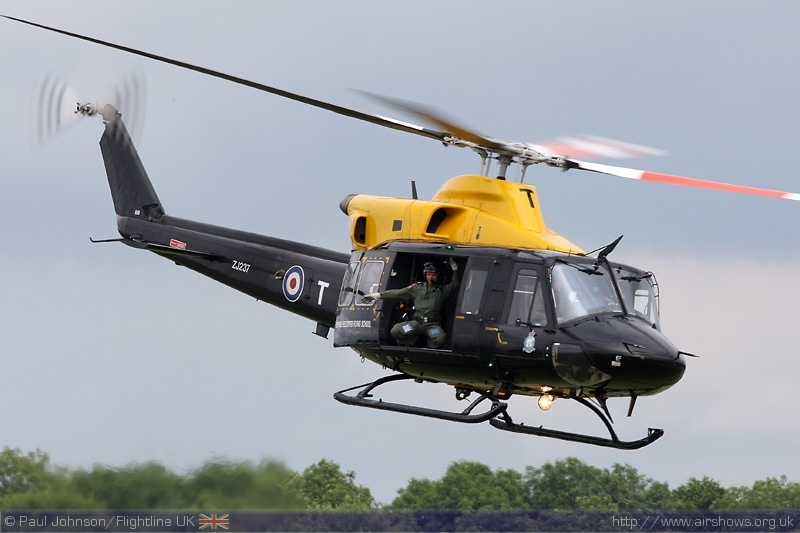 A few of the civilian acts represented some of the companies and activities currently based at Kemble and the local area. 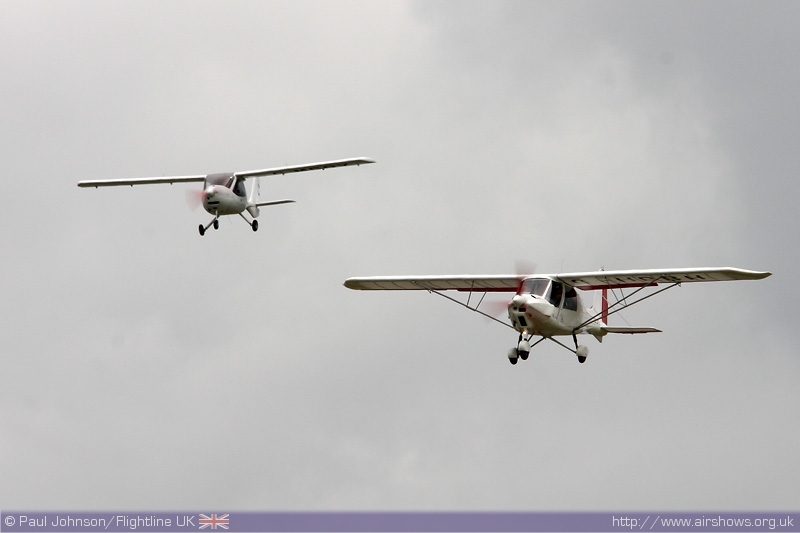 Kemble flying club showcased their Microlights which are significant feature of Kemble's activities. 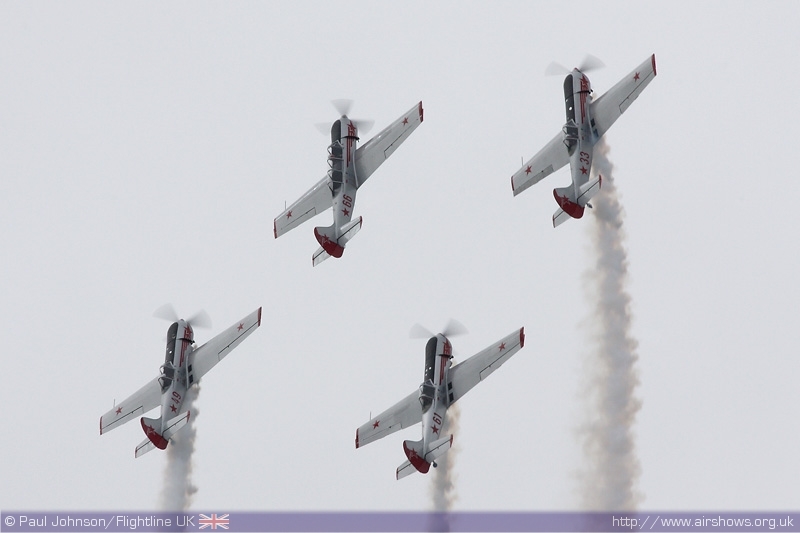 Ultimate High presented a formation of all their types that they fly in their advanced flight training and corporate entertainment activities from Kemble. 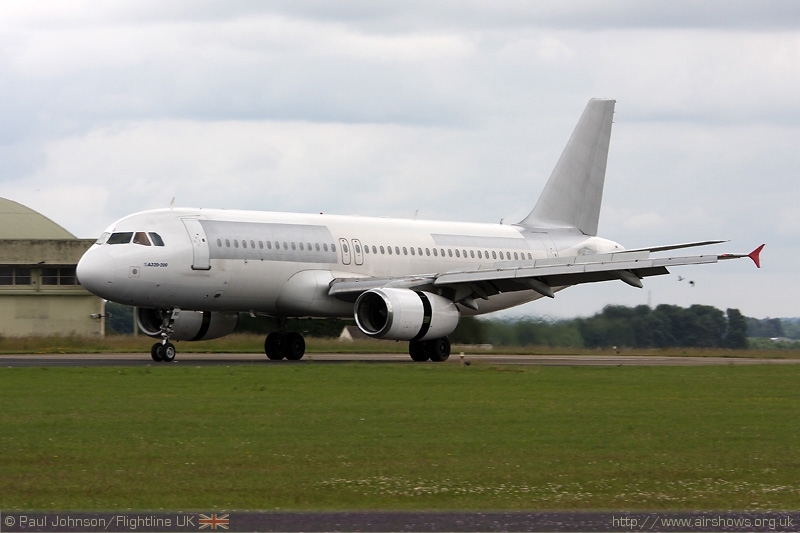 Another of Kemble's activities is aircraft breaking, and during Sunday's show a Airbus A320 arrived on it's final flight. 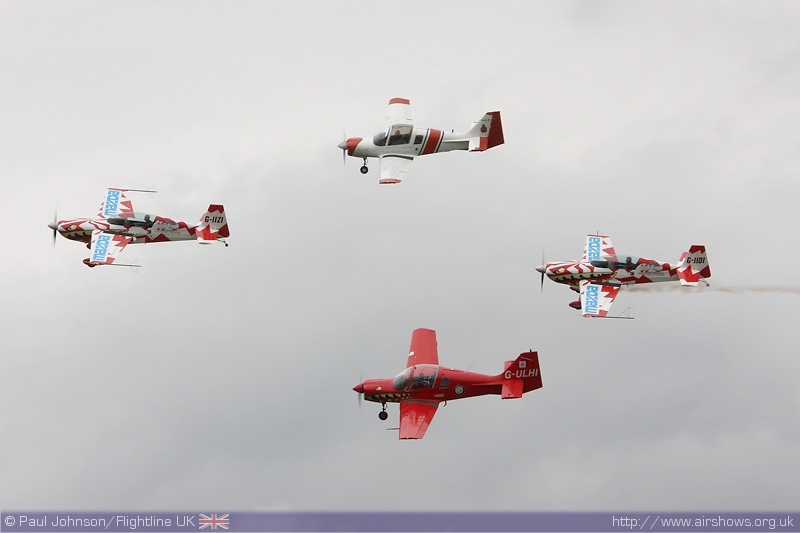 Though not based at Kemble, Team Guinot are just based a short hop away at their beautiful airfield at RFC Rendcomb. 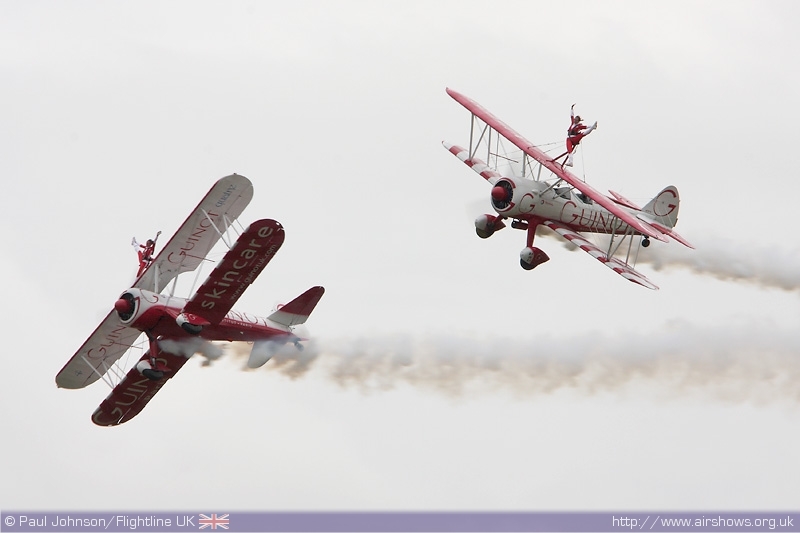 They appeared both days with wing walkers Danielle Hughes, Sarah Tanner and Stella Guilding on top of the wings. 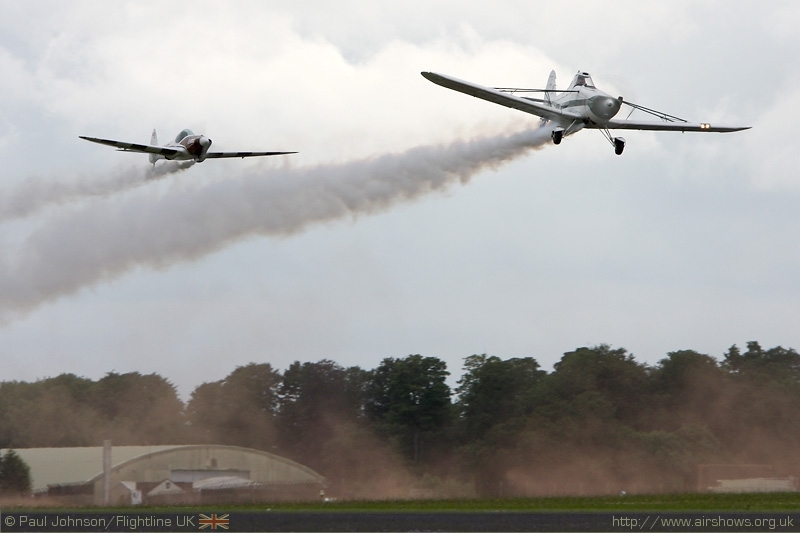 Further civilian barnstorming and aerobatics came from two of the country's top display teams, the Swift Aerobatic Display Team and the Yakovlevs. The Yakovlevs took over from the Red Arrows on the Sunday to provide some exciting formation aerobatics while Team Swift appeared over both days with their unique brand of powered and glider aerobatics. 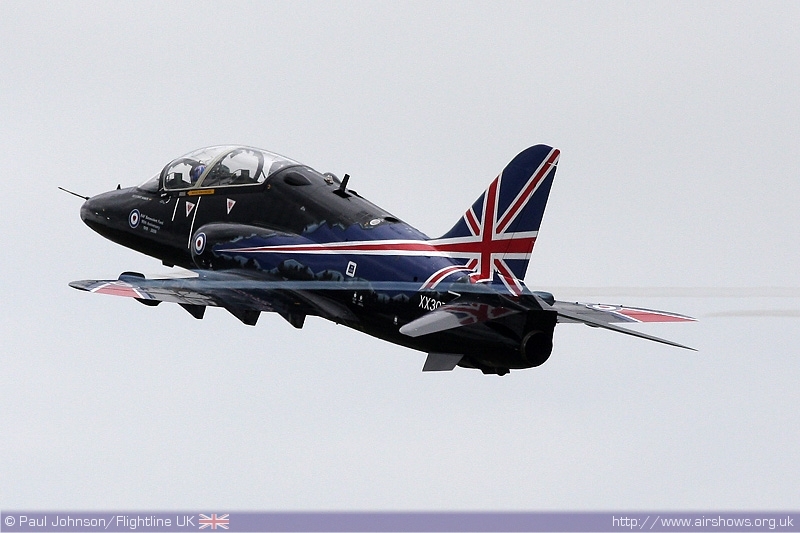 Glen Moreman and the Kemble Team once again put together a fantastic programme of flying displays over the two days. While Kemble is a show that caters for all tastes, it has still retains it's own unique identity on the display circuit with a superb mix of classic and modern jets alongside some very varied and entertaining acts. 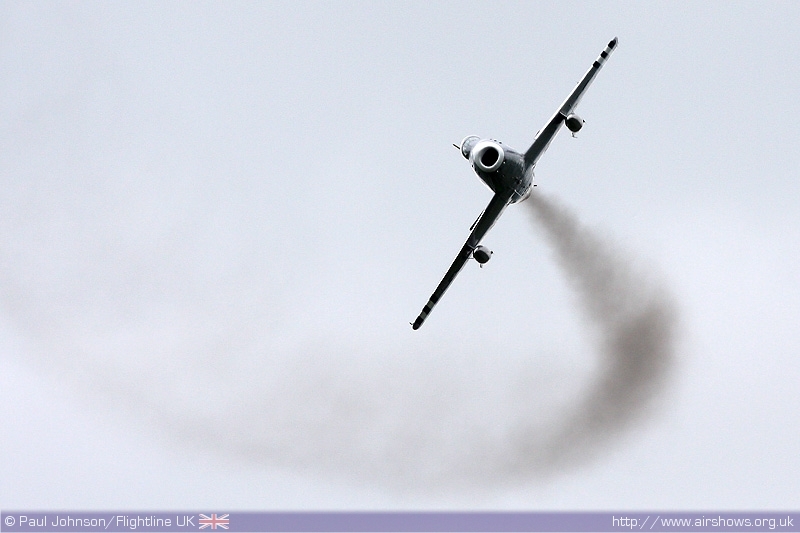 Kemble Air Show returns in 2010 on the 19th-20th June.